“Oceans of Time” is a Progressive Metal Band from Norway. “Oceans of Time” was formed in 2005 by Guitarist Lazz Jensen. According to Lazz the band played a lot of gigs between 2005 -2008 which helped them establish themselves as one of the premier local bands this also helped them nurture and grow a faithful fan base between. 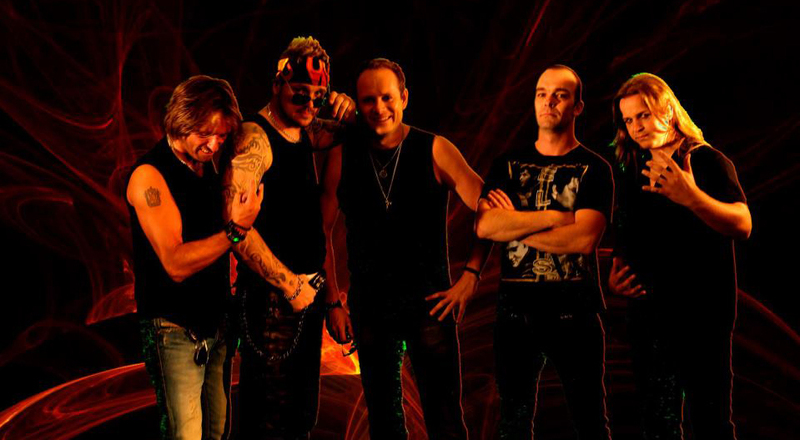 “Oceans of Time” not only built a reputation for their solid sound and showmanship, but also opened doors for them to share the stage with bands like Glenn Hughes, Masterplan, Satyricon, and many others. In 2009 “Oceans of Time” took a break from touring to concentrate on writing and recording their debut album which would later become the album known as “FACES”. Better than two years in the making the fruits of their labor, has paid off. The debut album was finished in late 2011 and released in 2012 via Melodic Revolution Records. The album boast 10 original tracks and clocks in at 55 minutes. “FACES” was recorded at Oceans Studios and was mixed and mastered by Tommy Hansen at Jailhouse Studios in Denmark. (Tommy also has worked with the bands Helloween, Pretty Maids, Iron Fire Jorn, etc;). Trust is the new album and was mixed & mastered by Tommy Hansen. “Trust” features special guest from Jorn, Ark, Masterplan, Magic Pie, Artch, Pagan’s Mind, Pagin’s Mind, Gaia Epicus and Tremor among others.